Track issues faster than ever before. While you already have an agile development workflow implemented, chances are high that your issue tracking solution hinders your team from being agile. Tracking issues for a software project is often a tedious task, and given the number of variables involved, it can get rather annoying to control mistakes that occur. With a number of bugs and errors happening at the same time, it becomes imperative to install an internal workflow and tool chain for your issue tracking team. 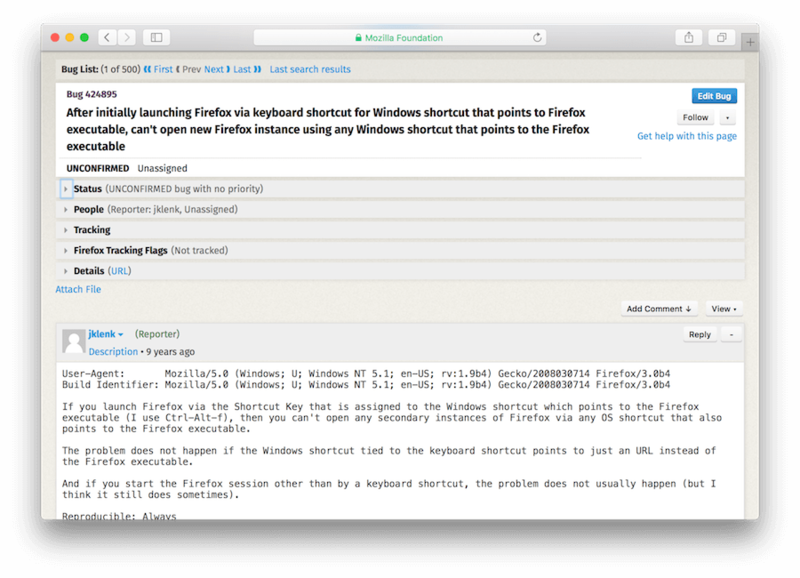 Track issues & bugs directly in your browser. Usersnap makes tracking issues easy. With screenshots & annotation tools, Usersnap helps you track issues where they happen: in your browser. No need to fill out endless forms. Improve your software team's performance with a modern issue reporting workflow. Easy issue tracking for you. Usersnap is your issue tracking management solution. Track issues and manage bugs in one central place.